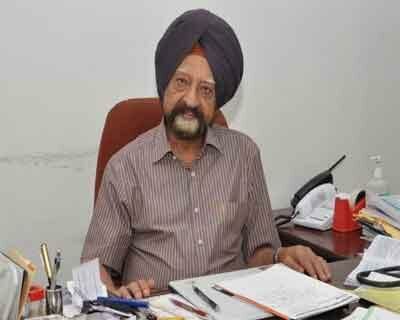 Chandigarh: The Centre has appointed Eminent Nephrologist, Dr K S Chugh as the chairman of the Expert Group of Kidney Diseases Grant-in-Aid (GIA) Scheme of Inter-Sectoral Convergence and Coordination for Promotion and Guidance on health research. This will promote innovation in major public health problems for the purpose of focused and deliverable research for developing indigenous, advanced and cost-effective health technologies for better health care in the country,an official spokesperson of Postgraduate Institute of Medical Education & Research (PGIMER), Chandigarh said. His appointment was made by the Ministry of Health and Family Welfare, Department of Health Research, union government. The other members of this committee are from AIIMS, New Delhi; SGPGIMS, Lucknow; Kalinga Institute, Bhubneswar; Institute of Kidney Diseases, Ahmedabad; Batra Hospital, New Delhi; Apollo Hospitals, Chennai & New Delhi and Pt BDS University of Health Sciences, Rohtak and PGIMER, Chandigarh, the spokesman said. Chugh is professor emeritus of Nephrology at the PGIMER, Chandigarh and is popularly known as father of Nephrology in India. He is recipient of several national and international awards.